I have been struggling with a problem all day that, when I was inches from giving up, I found the cause and the workaround. Thought I’d share it too. 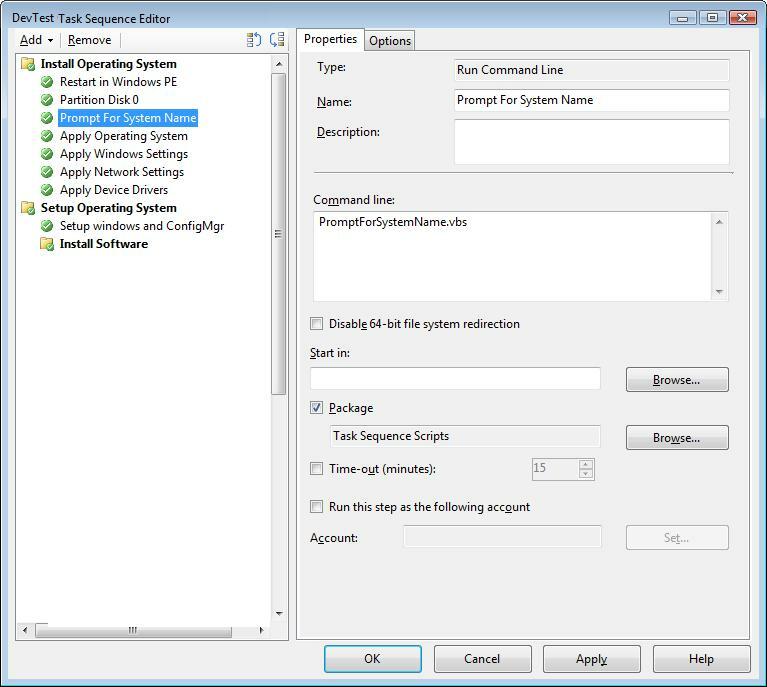 Sometimes it is necessary to not force a mandatory start time for an SMS/SCCM advertisement, but intead to allow the end-user to manually trigger the advertisement/program from the control panel applet “Run Advertised Programs”. The situation was that, for all servers within the targeted collection (only 4 servers total), the Run Advertised Programs applet was blank. And there was no “New Program Available” system tray icon. I tried everything from different Program settings, different Advertisement settings, reviewed the Advertised Programs Client Agent, collection settings, etc etc etc. After taking a short break to play company softball, I came back to the office to practiced my Google-foo skills. I stumbled upon a forum posting about RDP interfering with the applet. With my fingers crossed, I launched RDP in admin mode (e.g. mstsc /admin), logged into the server, launched the Run Advertised Program applet, and voila …there was my advertisement. Hopefully one day I’ll find the solution and update this post…or maybe someone will read it who already knows the solution! I guess that there will be no solution, because the behavior is a known issue. The /admin causes you to logon to the console and the SCCM client will only ever show advertisements to a user logged on to the console. I don’t know exacly why it does this, but it is incredibly annoying.